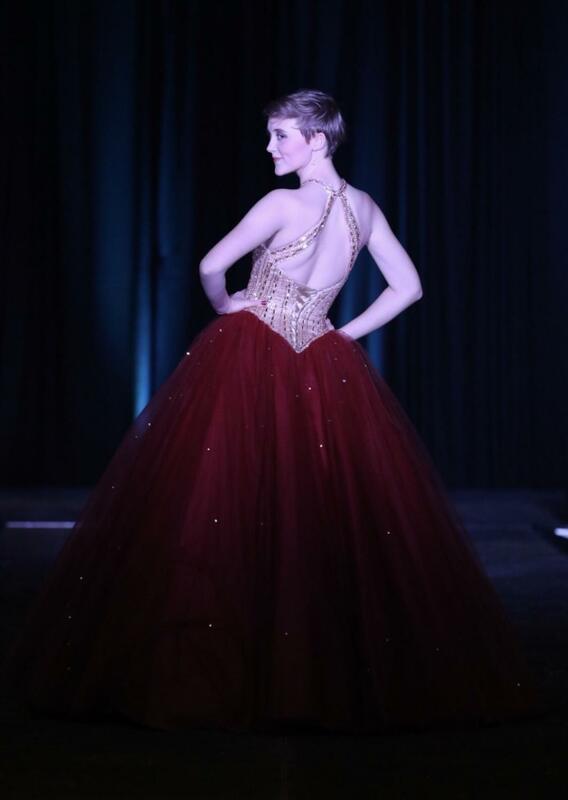 On January 26th more than 40 high school models set foot on the runway to participate in the Mountain View High School’s annual Prom fashion show. Months and months before the day of the fashion show, the board of Mountain View Music and Arts started preparing. Models went to walking workshops and spent lunches and free periods at their fittings, followed by even more fittings so that they were in their perfect dress for show day. Everything went smoothly, thanks to Loveland Wedding Center. The weeks leading up to the show were busy. Two weeks prior to the show, Saturdays were taken up by rehearsals. On Saturdays, all models went to The Mckee building at The Ranch to practice walking in their shoes and to practice the choreography. By the end of rehearsals everyone had the choreography down to perfection and their heels perfectly broken in. During these rehearsals there was music blasting and everyone’s energy was through the roof, there was confidence and laughter bouncing off the walls as each pair of models shared the mock runway. The day everyone walked into the venue, the nerves set in, yet everyone was beyond excited. There was a quick run through rehearsal as soon as everyone arrived, then everyone started getting ready. Victoria James Salon Spa School donated their time to make all the models look amazing. Each girl got their makeup and hair done by students at Victoria James, and the boys did their own hair. A few minutes before showtime, guests starting arriving to watch all the models strut their stuff alongside their friends. There were performances by Melena Tester, Caitlyn Somerville, and Adam Rojas, before the models started to walk. Adam Rojas, Junior, said “ My favorite thing about the fashion show was how supportive everyone was of each other.” Confidence levels went through the roof that night. Mountain View Music and Arts hopes to continue this legacy for years to come. Every year the show gets bigger and bigger and the people that come to watch always leave stunned. Every year as more and more people hear about the show, there is more publicity shared around town. The fashion show gave everyone an outlet to be completely themselves and to take a moment and appreciate their outer, as well as their inner beauty.